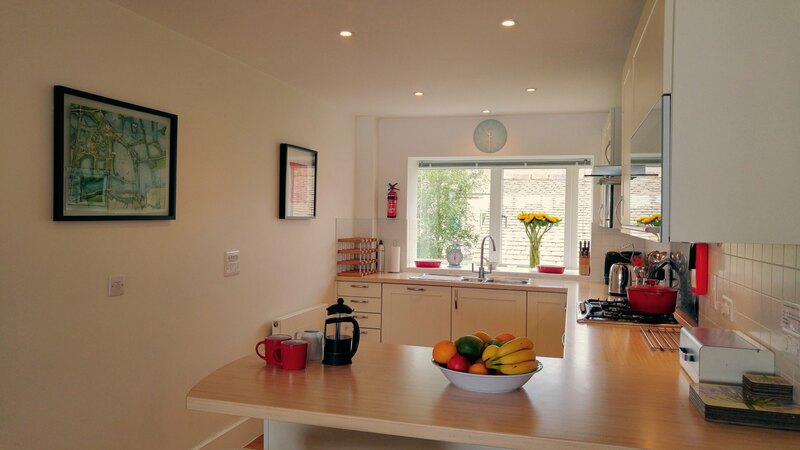 The open plan lounge, kitchen, dining area provides a wonderful space for relaxed family living during your luxury self catering Cotswolds family holiday. 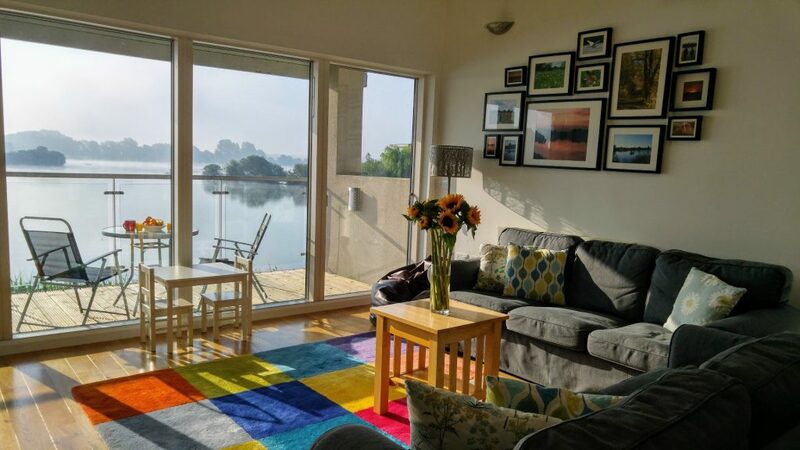 The lounge has a vaulted ceiling and opens onto the upper sun deck and wonderful views over the lake.The wood burning stove adds a lovely atmosphere to the room. The lounge comes fully equipped with a large flat screen Smart TV with iplayer and itv player, free wireless broadband access and a stereo with ipod dock. The sun decks provide wonderful spaces for relaxing and enjoying the superb surroundings. 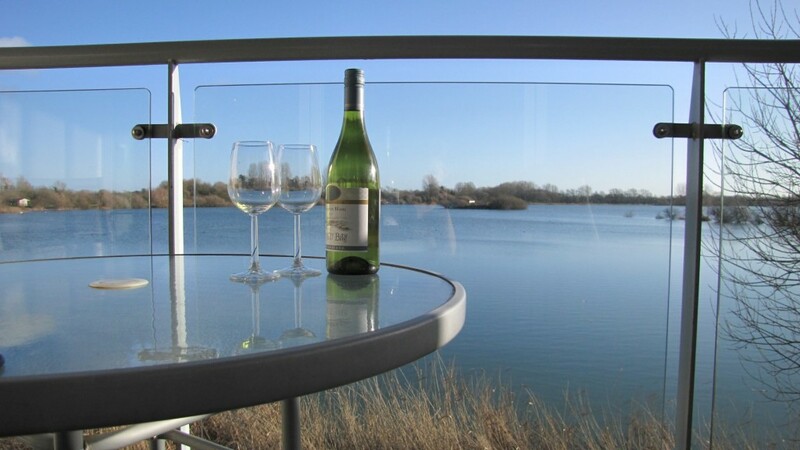 Somerford Lagoon is the largest lake on the Lower Mill Estate and the views from Daisy Chain are uninterrupted. We hope you love them as much as we do! The modern kitchen is well equipped with double oven, 5 ring hob, microwave, dishwasher, fridge and freezer. The Estate shop stocks a range of of home made frozen ready meals and of course you can order your groceries online and they will be delivered to your door. There are plenty of pans, cast iron casserole dishes, childrens plates, bowls, cups. The breakfast bar has 2 bar stools….and if you need a little extra help to wake up in the morning there is a Tassimo coffee machine. The dining room has a wonderful large oak table that comfortably seats 10. 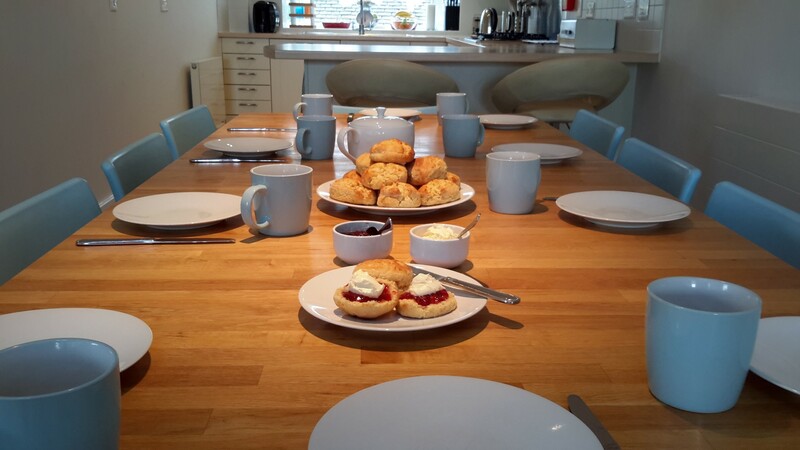 There is crockery for 12 place settings and plenty of glasses and mugs. 2 high chairs and 2 booster seats are provided for little ones to use. Daisy Chain luxury Cotswolds self catering holiday home sleeps 9 in 5 bedrooms. 2 cots are available. 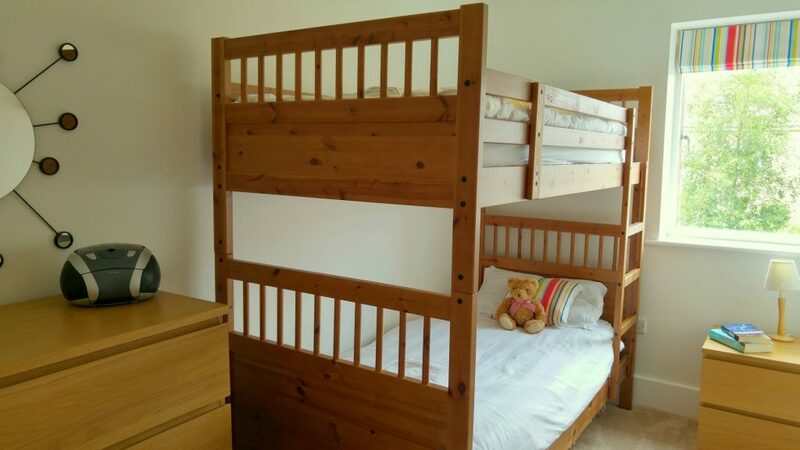 There are 2 ensuite double rooms, a twin bedded room, a single room and a bunk bedroom. Imagine waking up to wonderful lake views. 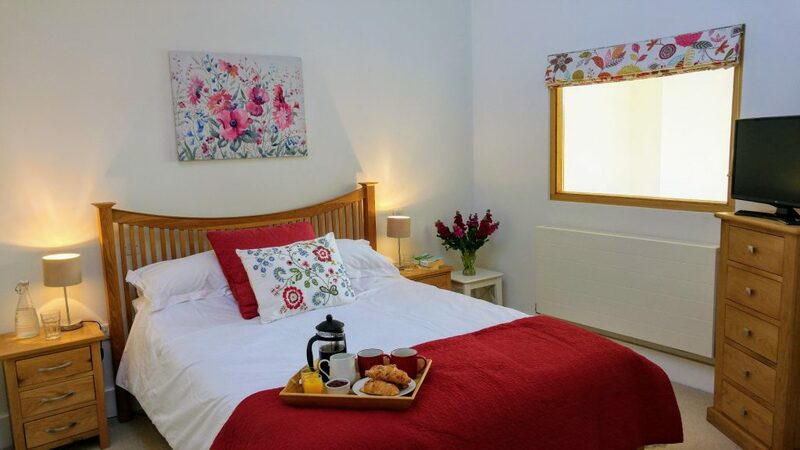 To make the most of the views Daisy Chain has some bedrooms downstairs and the living area upstairs. On the ground floor there are 3 bedrooms and a family bathroom with a fitted shower and screen. There is also a utility room with a washer dryer. 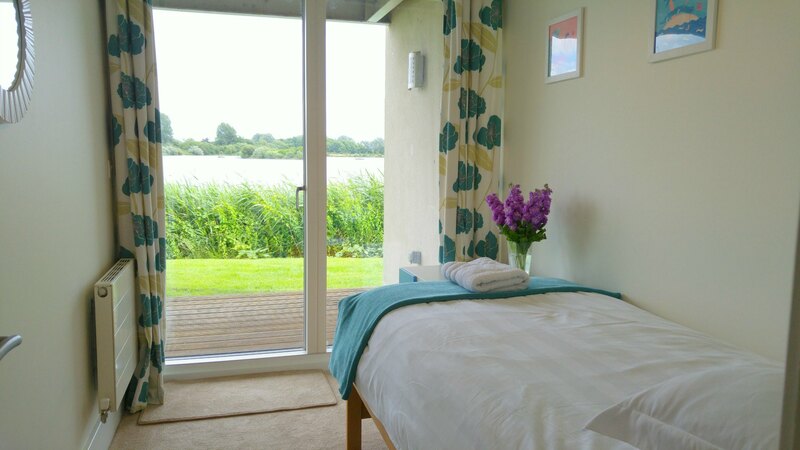 A double room with ensuite bathroom has sliding, glazed doors leading to the sun deck and wonderful views of the lake. The sun rises over the trees on the other side of the lake so you can enjoy beautiful sunrises while you drink your cup of tea in bed. 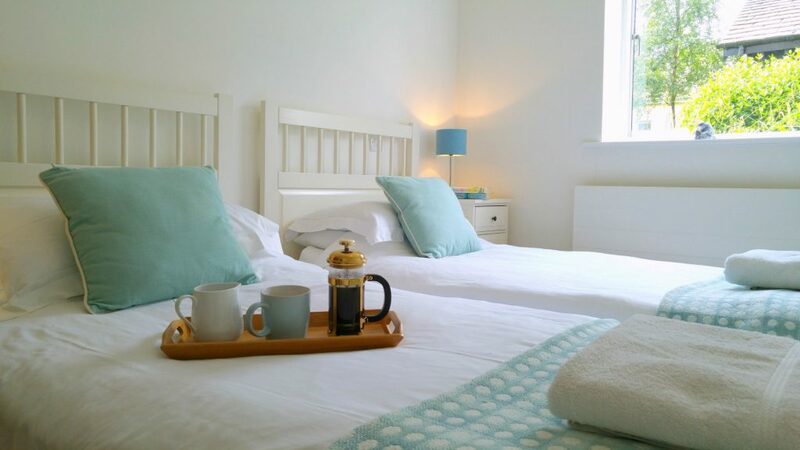 A twin bedded room which is perfect for children or adults sharing. It has a family bathroom next door. 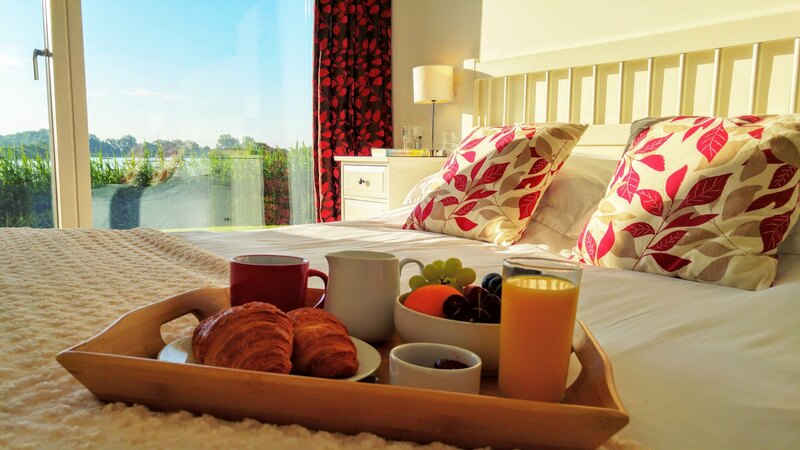 The single room also has access to the sun deck and enjoys wonderful views across the lake. A bunk bedroom with full sized sturdy beds makes a great room for sharing.